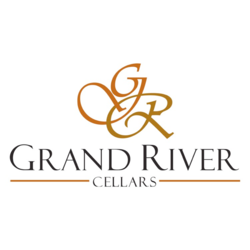 Grand River Cellars Winery and Restaurant is located in the heart of the Grand River Valley Wine Region. Located on the border of Thompson and Madison, Ohio, it benefits from the air drainage located in the higher lands of Thompson, passing over the flat lands of the vineyards, and flowing down into the Grand River Valley basin. With its cool winters and warm summers, grape production is often at its premium allowing for production of premium varietal wines. The effects from Lake Erie also work to extend the growing season.